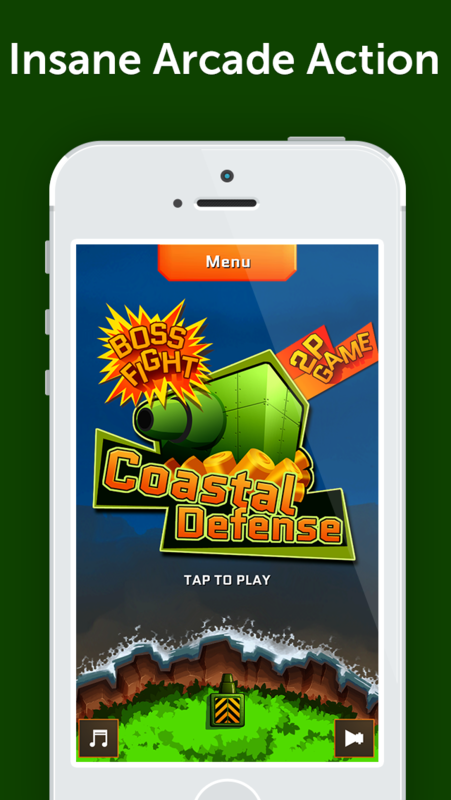 Coastal defense is an extraordinary game of quick decisions and fast fingers! Protect your coast from relentless enemies using arsenal of weapons even Chuck Norris would envy. It's you versus them. Can you make it? 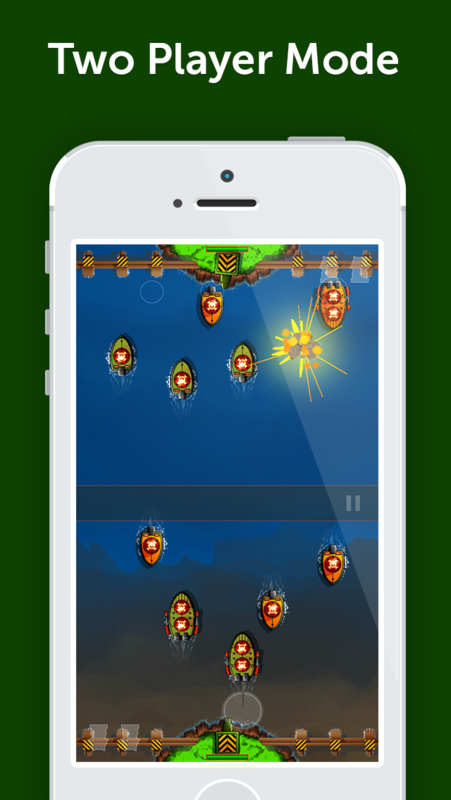 The enemy will keep on coming in more advanced vessels, trying to conquer your coast, employing different strategies: many boats at once, boats with varied speeds and zig-zagging movement, battle-hardened destroyers, nuclear submarines, and biggest of them all - air-carriers! They're gonna throw everything at you in order to get you. And you're the only thing standing between them and your coastline. Coastal defense features great sound effects, mission goals that bring rewards and repair kits scattered throughout the game. 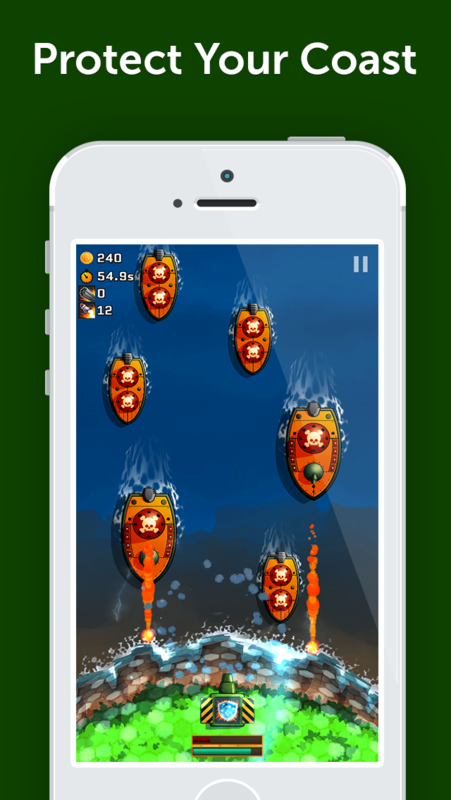 Every sunken ship earns you coins, which you can use to replenish your weapons and shields, if only to survive one more wave! 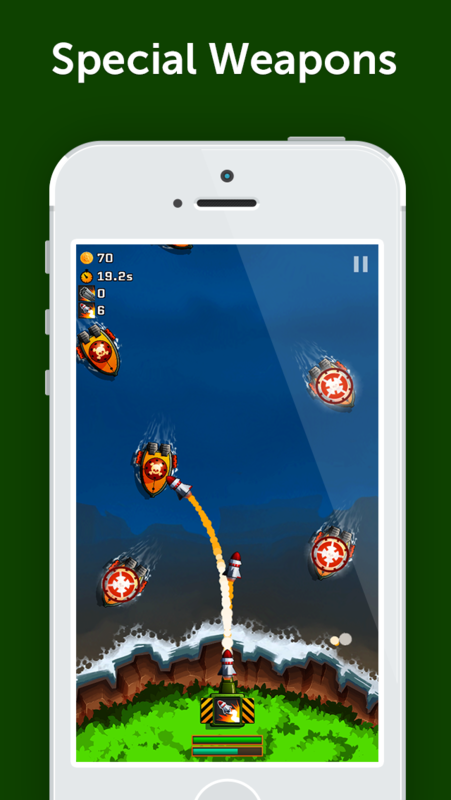 - Multiple enemies and enemy strategies, culminating in boss fights with air-carriers! - Two-player offline mode to play with a friend on the same device! 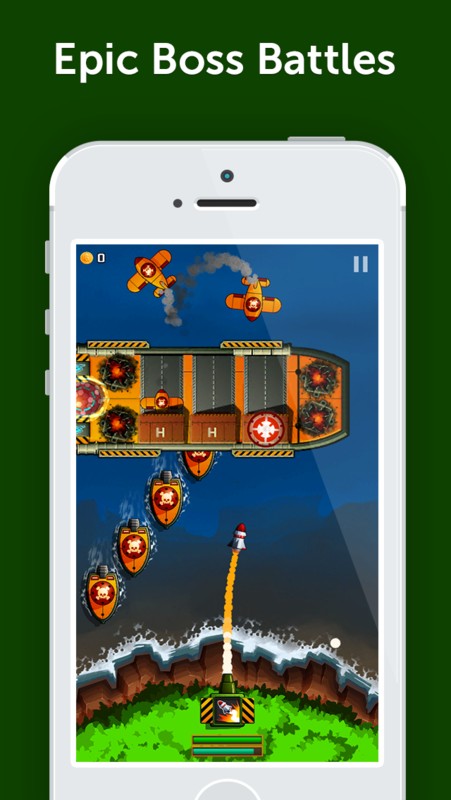 - Highly extraordinary game and incredibly fun!